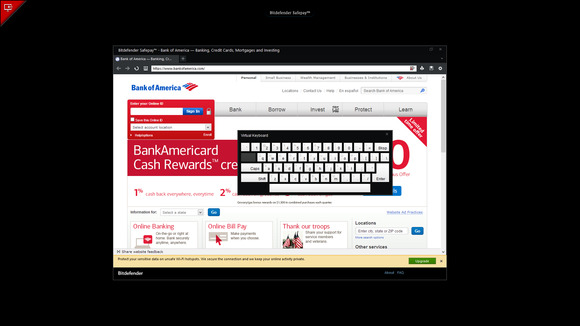 Bitdefender has released a Windows application designed to help users secure sensitive Web-browsing sessions, especially when they shop or bank online. The application is called Safepay and a free version is available to home users. The application provides users with what Bitdefender calls a “hardened” Web browser that runs inside an environment protected by several technologies designed to prevent man-in-the-browser, phishing, packet sniffing and other types of attacks. It can be installed on both 32-bit and 64-bit versions of Windows 8, 7 and Vista and on 32-bit versions of Windows XP. When run, Safepay will open a “secure desktop”—a secondary work environment that is separate from the regular desktop—and will launch a custom browser created by Bitdefender. The browser is based on Chromium, the open source project that serves as the base for Google Chrome. 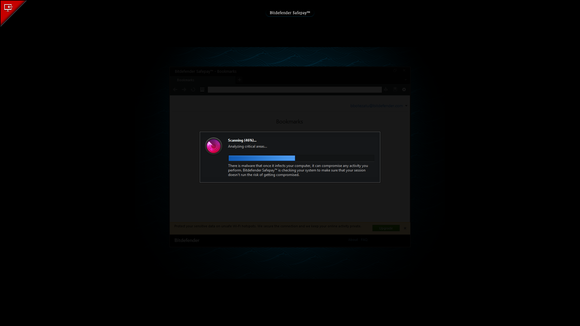 This means that it has most of Chrome’s security features, including its anti-exploitation sandbox mechanism, and some additional features added in by Bitdefender. For example, the Safepay browser has a button that launches a virtual keyboard. This allows users to enter log-in credentials and other sensitive data without actually typing them on their physical keyboards, therefore protecting the information from malware with keylogging abilities. The browser also performs URL filtering using Bitdefender’s data in order to block known malware, phishing, fraud, spam and other untrusted sites. There’s also an option to pass all of the Web traffic through a secure encrypted channel—essentially a Virtual Private Network (VPN)—but it is only available in the premium version of the application. The feature is known as “hotspot protection” and is intended to protect Web traffic from network sniffing attacks when connected over untrusted networks, like open wireless hotspots. Enabling it and upgrading the application to the premium version costs $4.95 per week, $14.95 per month or $34.95 per year. Hotspot protection is the only feature that differentiates the free version from the paid version of the application. Users cannot install extensions, custom toolbars or other types of add-ons in the Safepay browser, Bogdan Botezatu, a senior e-threats analyst at Bitdefender said Friday. This is because such add-ons can pose a security risk and malicious browser extensions have already been used by attackers in the past. 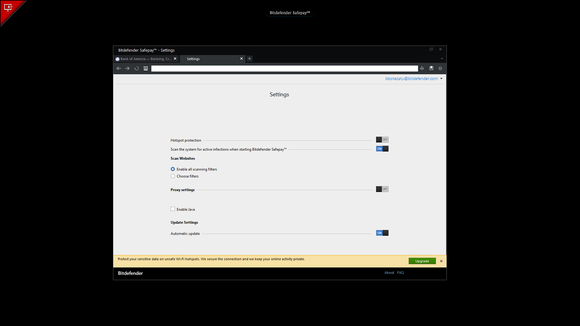 Support for Java, a technology that is frequently targeted by attackers, is disabled by default, but there is an option to enable it on the browser settings page in case some websites need it. The benefit of running the hardened browser on a secondary desktop screen is that it’s protected against malware that takes screen shots of running applications, Botezatu said. Users can easily switch between the regular desktop and the Safepay desktop by pressing a button in the corner of the desktop screen or a button on the navigation bar of the Safepay browser. Bitdefender Safepay scans for malware before starting a browsing session. Safepay uses the same self-protect component that all Bitdefender security products use to block malware from interfering with their processes, Botezatu said. This protects Safepay against malware that tries to inject malicious code into browser processes in order to modify websites accessed by the user, a technique commonly used by online banking Trojan programs. The browser used by Safepay is updated automatically from Bitdefender’s servers and before a new browsing session is started the application scans the computer for known malware using Bitdefender’s cloud-based malware database. The same technology powers the company’s Quickscan product. The Safepay scan will check the critical areas of the operating system and the running processes, Botezatu said. Some security researchers have advised users to perform online banking by temporarily booting their computer from a Linux Live CD or by using a separate computer that’s only dedicated to online banking. Booting from a Live CD provides a clean and temporary environment that’s not affected by any malware infection that might exist on the operating system installed on the hard drive. Regardless of where users are or how they are connected to the target server Safepay isolates the browser from the operating system environment and can create a fully encrypted connection with the end destination, he said.